I’ve been on holiday in the Netherlands, Belgium and France . We camped in Arnhem for a week and I spent two days cycling round the area of the 1944 fighting. A fun time was had, what my family calls “looking at fields”. Here’s Google Map showing some of the places I visited. During my time at Arnhem I used two guidebooks from the Battleground Europe series, Arnhem: The Landing Grounds and Oosterbeek, and Arnhem: The Bridge, both from the Battleground Europe series. I can recommend them both, though the hand drawn maps that feature in both books are a bit difficult to follow and are sometimes lacking in scales. I’d suggest that anyone visiting the battlefield gets an up to date map of the area. 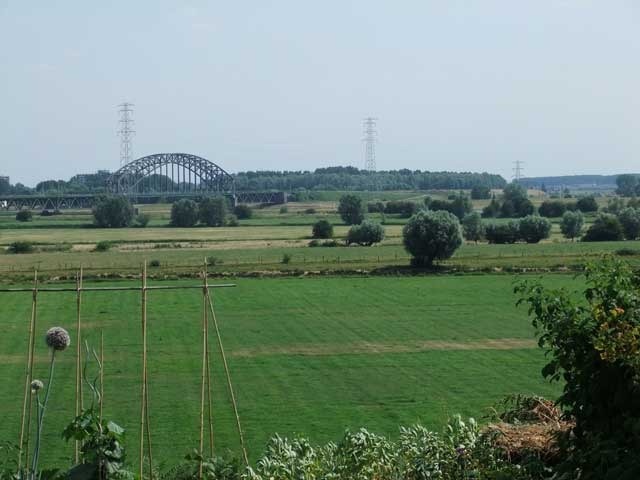 The area around the Arnhem Bridge itself is a bit of a disappointment as there’s almost nothing left from what was there in 1944. The buildings in the area were destroyed in the fighting and the modern street layout is quite different. The bridge itself was destroyed by Allied bombing in October 1944 and the scenes of fighting around the bridge in A Bridge Too Far had to be filmed elsewhere. But there is a visitors centre, just to the West of the bridge, it’s free and worth a visit. But further to the West in Oosterbeek and beyond there’s still quite a lot to see. In particular there’s been very little development round the landing zones and they still look much like they did in 1944. The picture above shows Landing Zone X, with Landing Zone Z just to the left of the road.. 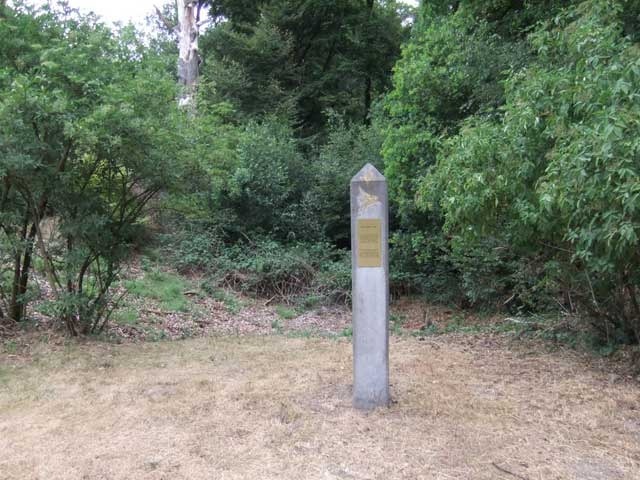 The Divisional Reconnaissance Squadron assembled near here on 17 September, 1944. Mounted in jeeps they were tasked with rushing on ahead of the Division to take the road bridge at Arnhem. 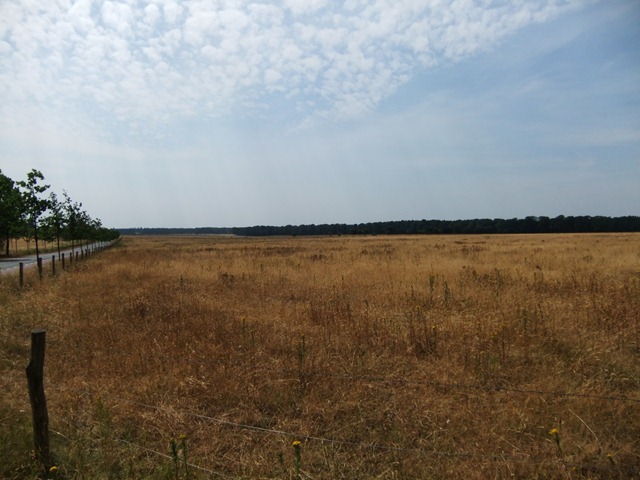 Unfortunately for them they ran into German troops, part of a training battalion commanded by Major Sepp Krafft, and were ambushed here, near Wolfheze. 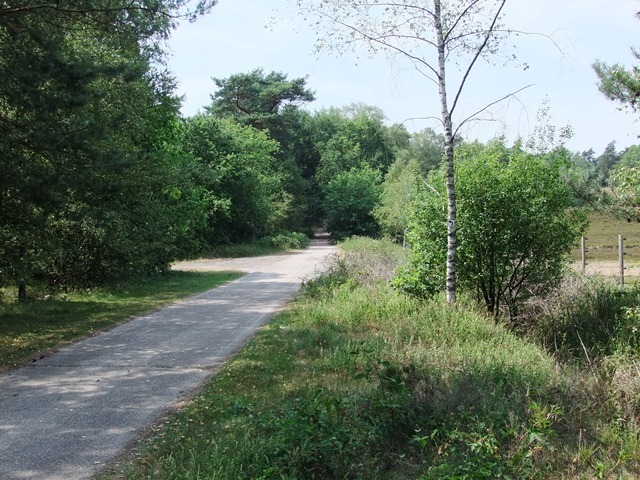 The lead jeep in the Squadron was just emerging from the woods in the distance when the Germans opened fire from positions on both sides of the track very close to where this picture was taken. Although you can’t see it from the picture there’s a railway embankment on the left side of the picture above. 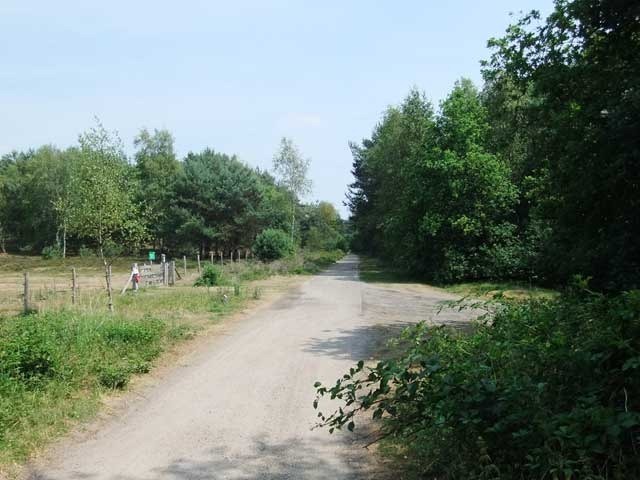 This picture is taken from where the squadron was ambushed, the Germans were in the wood to the left and on the embankment which is now hidden by trees on the right. 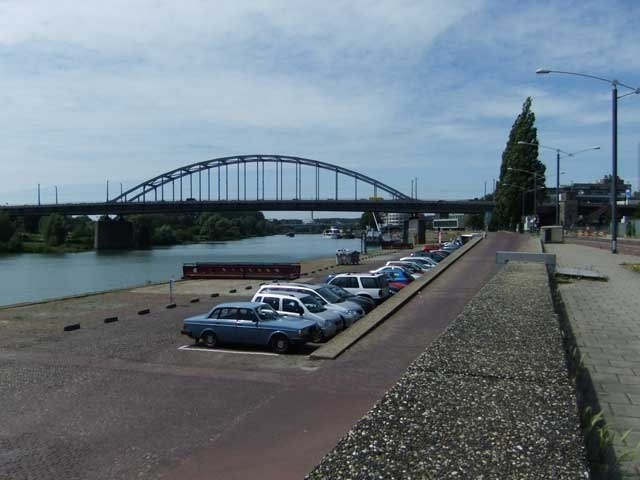 This picture shows Arnhem railway bridge. In 1944 it was almost captured by C Company 2nd Parachute Regiment, who attacked from the right of this picture. The bridge was blown just before the men of 9 Platoon reached the main span. 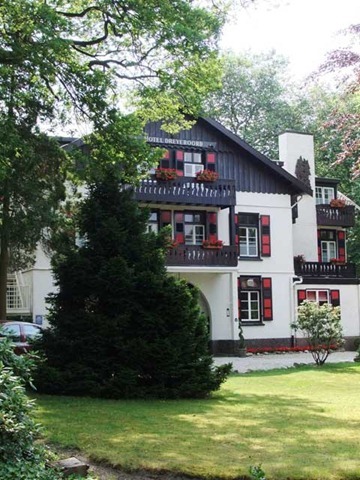 There’s also a lot to see in Oosterbeek itself, this is the Hotel Dreyeroord, known as the “White House” by the men of the King’s Own Scottish Borderers (KOSB) who defended the northern edge of the Oosterbeek perimeter or “The Thumb”. Here’s “The Hole” in which troops from 4th Brigade, including General Hackett, were pinned for several hours during their retreat to the perimeter. 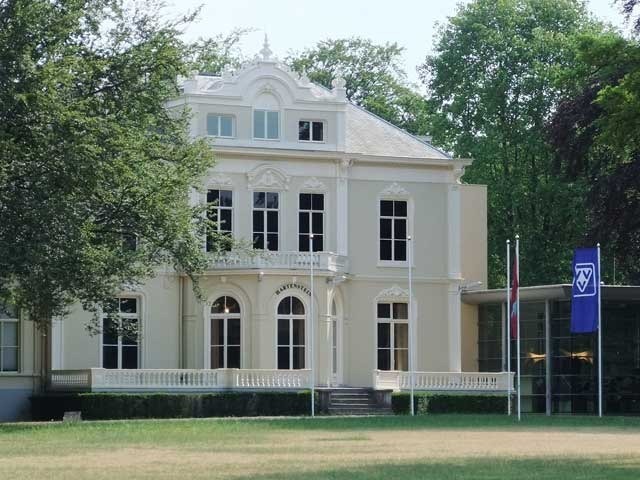 And of course there’s the Hartenstein Hotel, British HQ during the battle and now home to the rather good Airborne Museum. Just down the road is the Schoonoord Restaurant which was heavily fought over in 1944 and serves a very reasonable meal. Both beautiful and poignant, Derek. Hard to believe the events which underly these images now that the scars of war have worn.